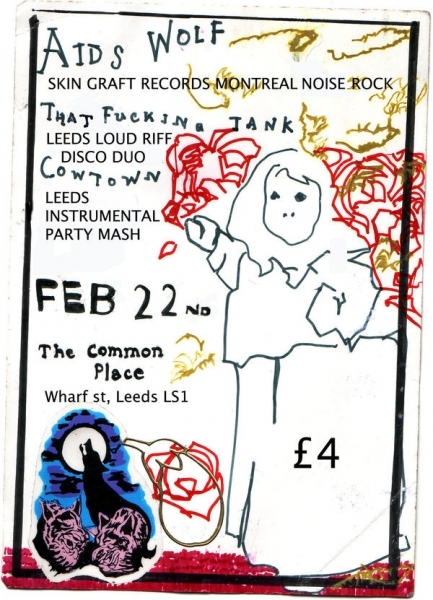 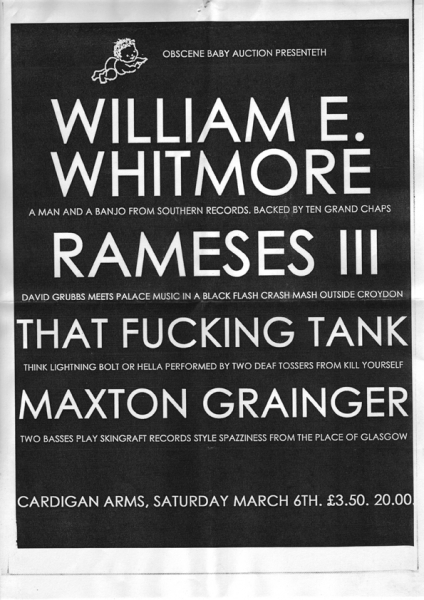 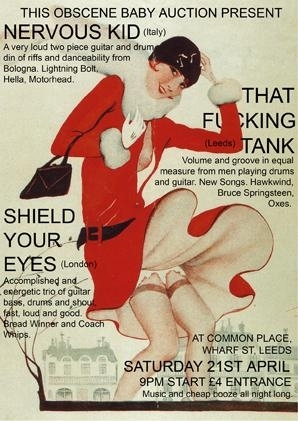 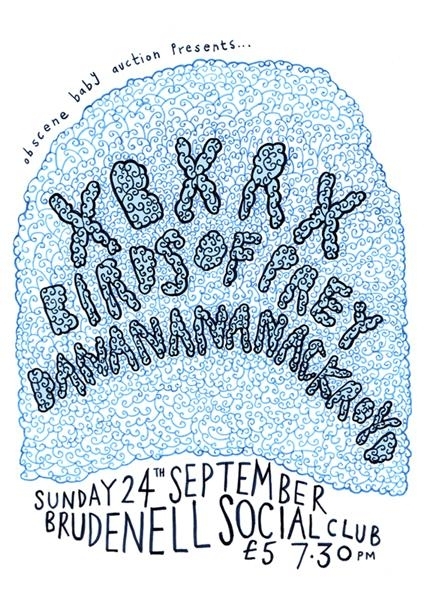 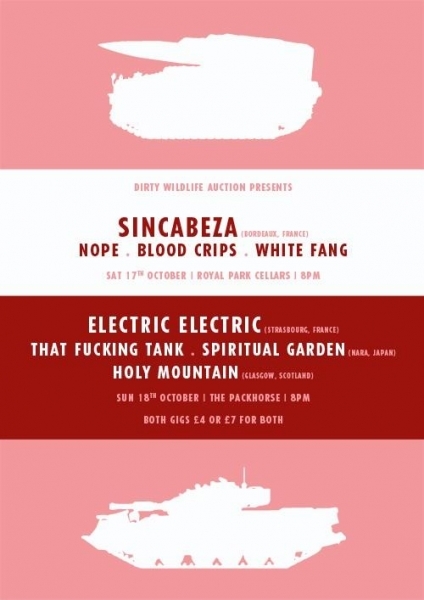 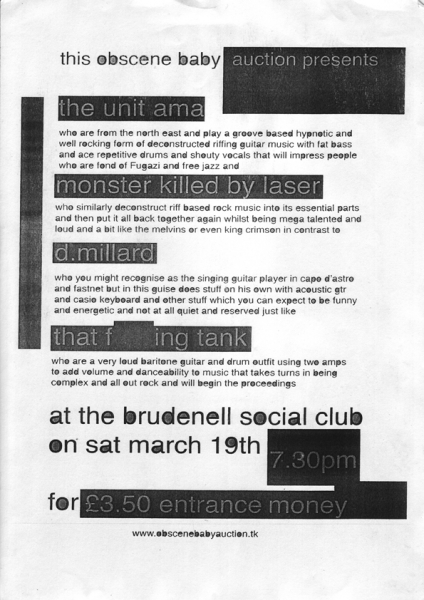 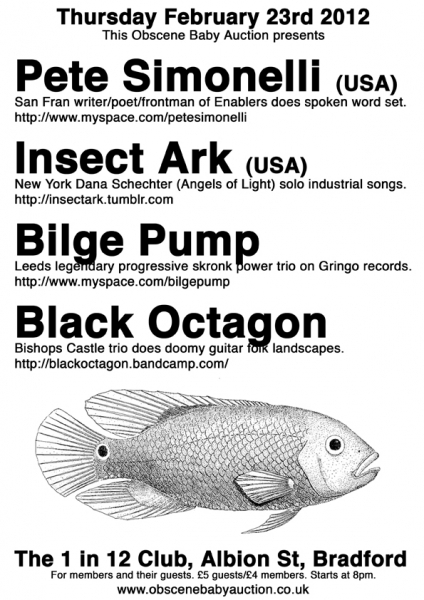 Incomplete List of Gigs and Flyer Gallery. 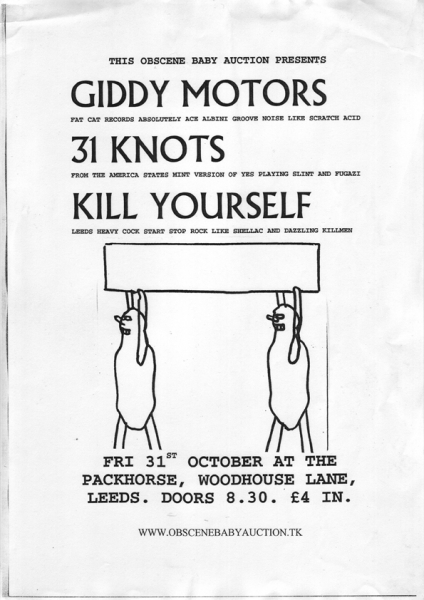 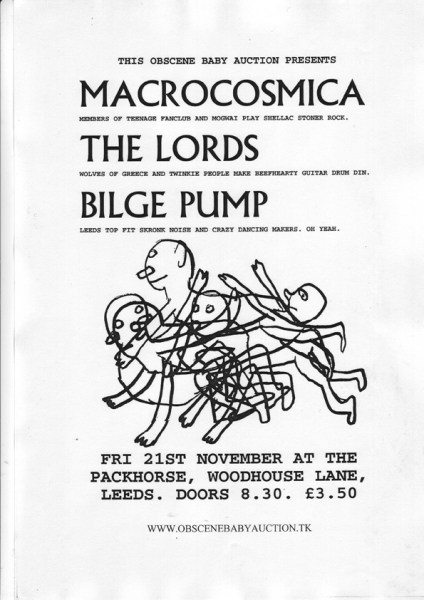 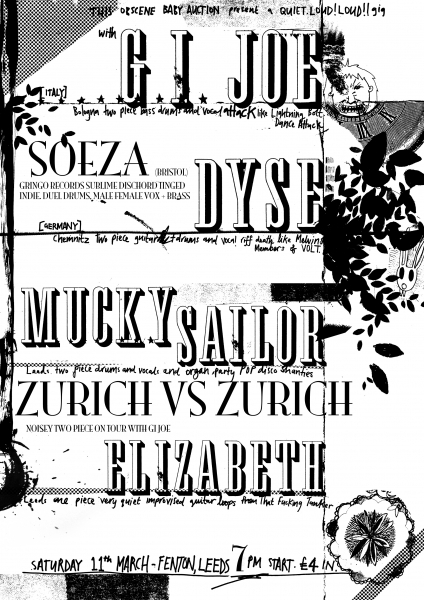 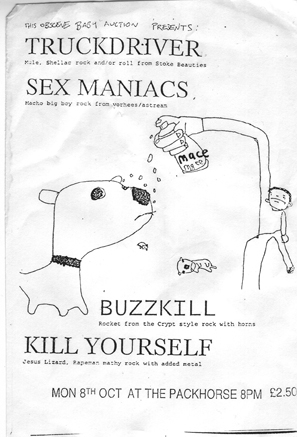 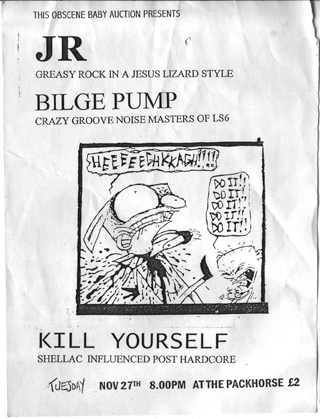 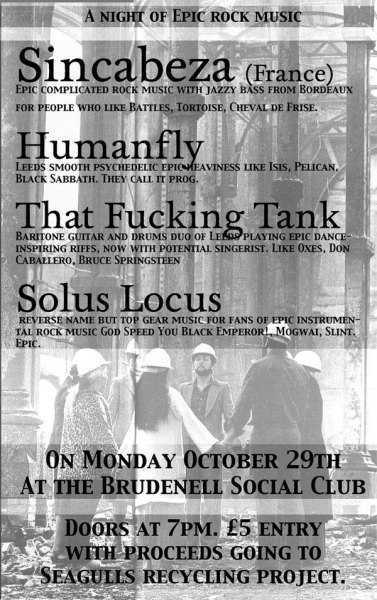 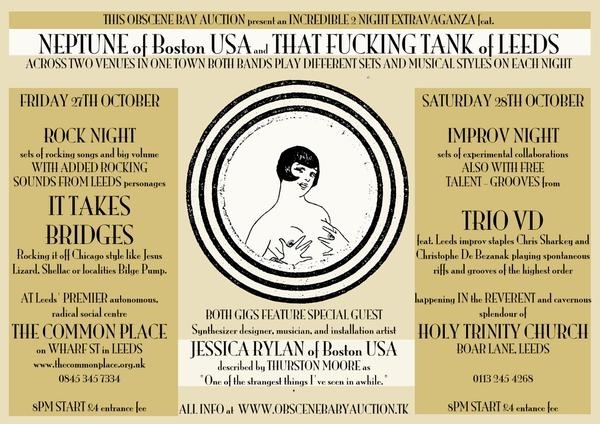 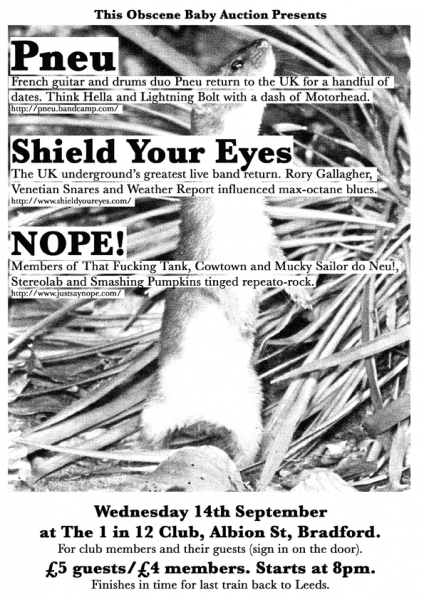 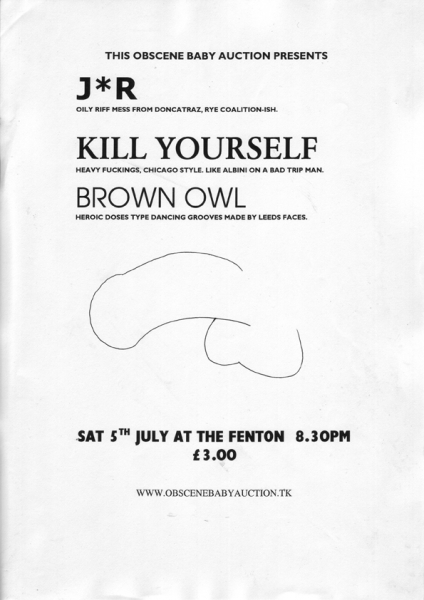 31/10/03: GIDDY MOTORS, 31 KNOTS (USA), KILL YOURSELF at the Packhorse. 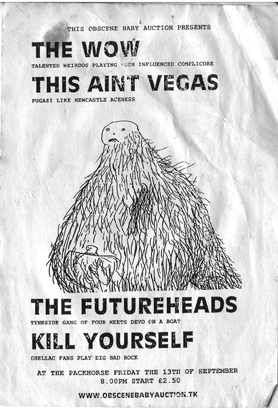 CANCELLED? 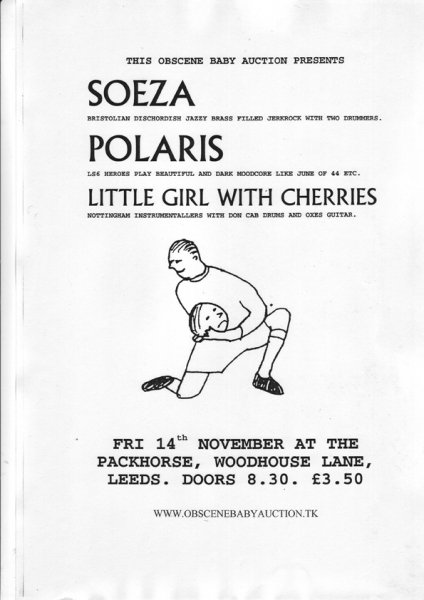 14/11/03: SOEZA, POLARIS, LITTLE GIRL WITH CHERRIES at the Packhorse. 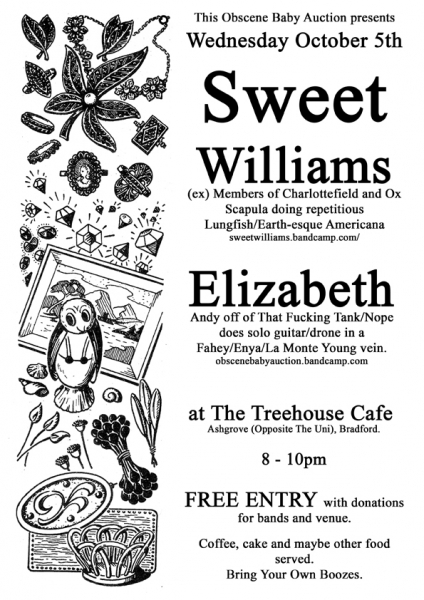 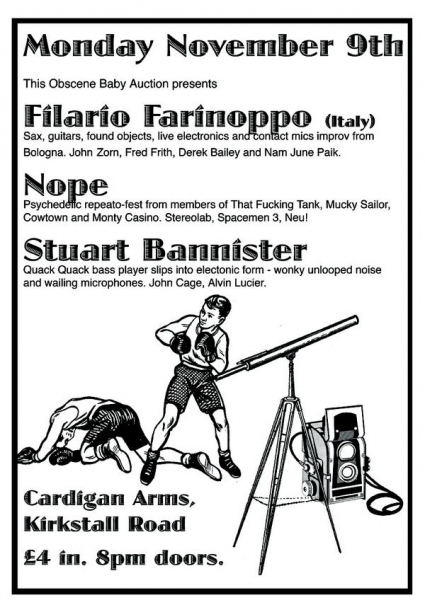 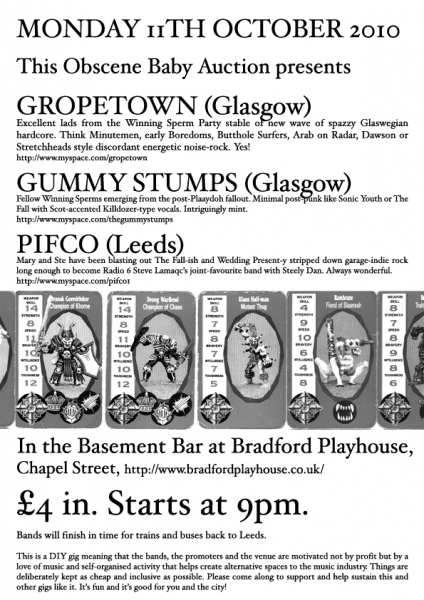 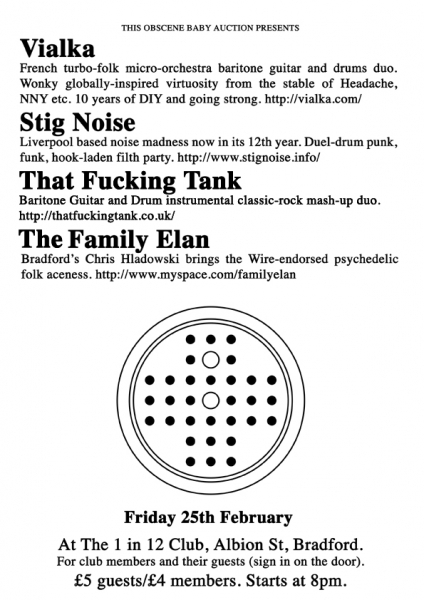 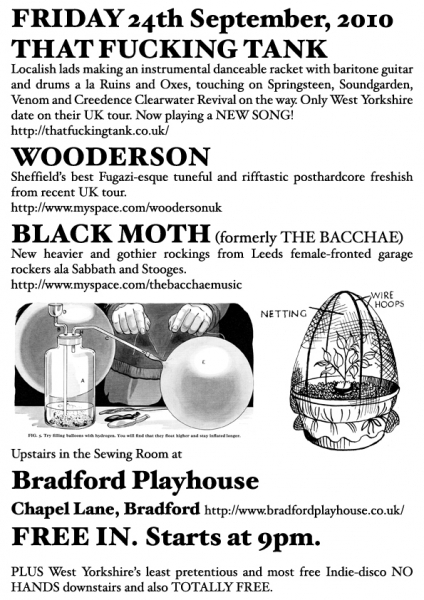 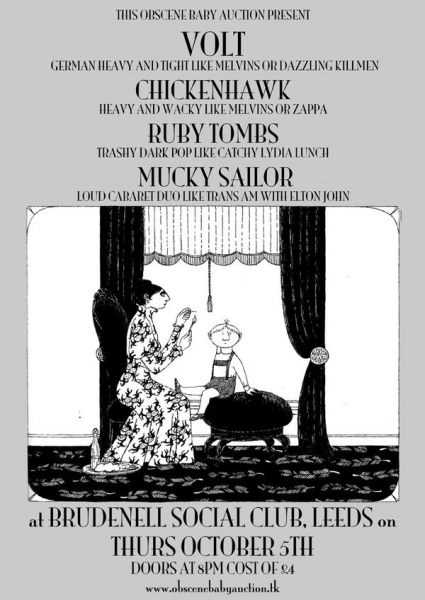 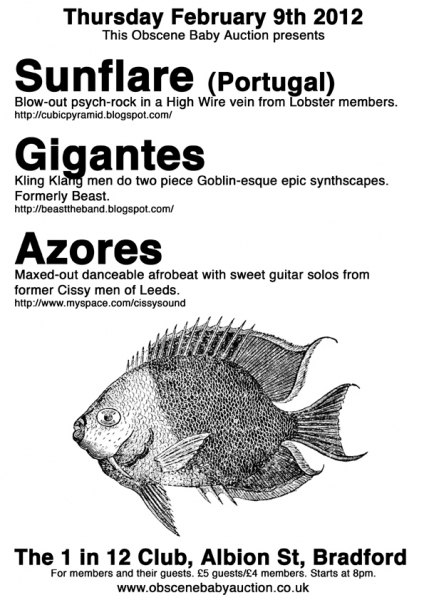 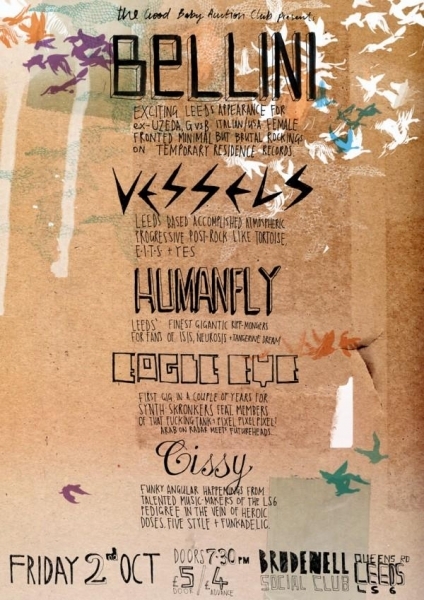 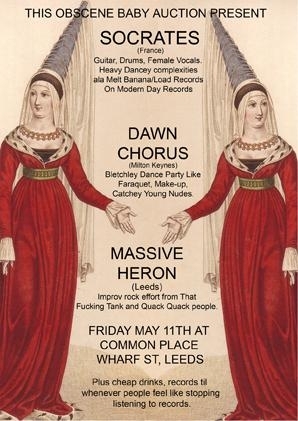 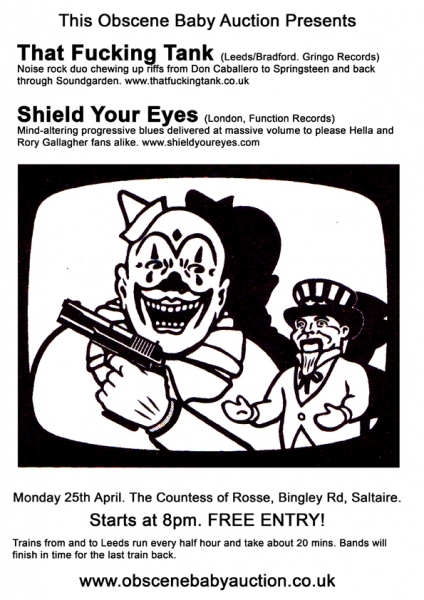 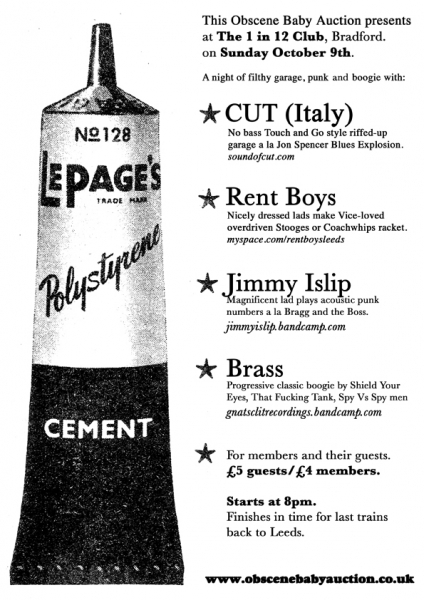 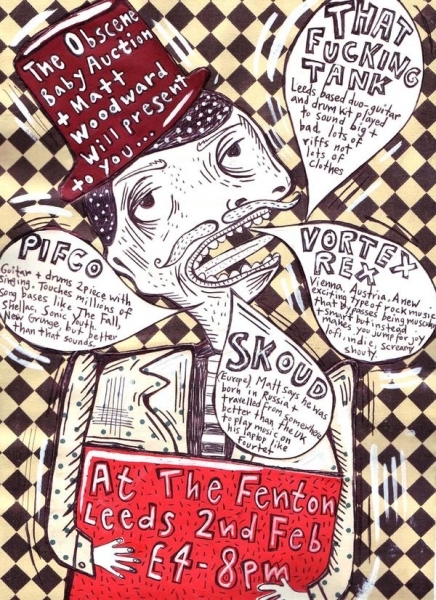 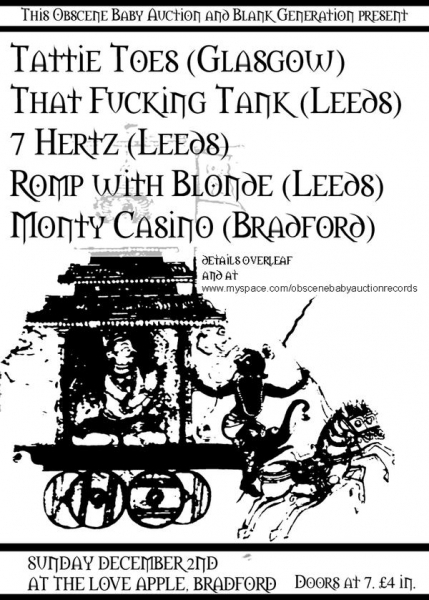 27/05/11: MR PEPPERMINT (Glasgow), COWTOWN, PIFCO at Polish Club, Bradford.